Essays are documents that are supposed to convey as much information as possible in as little space as possible. They have a very short word limit, yet you are expected to elaborate complex ideas and information within it nevertheless. You have to make the most of the space that you have and to do that it is best to divide your substance into five, distinct paragraphs. Here is what you should include in each of them so that you can present your points in a way that will capture the readers’ imagination. The introduction is the most important paragraph, and it is essential that you get it right. First impressions really do matter, which is why you have to make sure that it is gripping. Moreover, you cannot make it very long either; it should only account for seven to ten percent of your essays’ total word count. Therefore, you need to maximize every sentence in it. The first paragraph is extraordinarily important and it is equally difficult to get it right. You need to carefully convey what your topic of discussion, and your position on it, is. You should also foreshadow your conclusion in order to pique the readers’ interest. To this end, you can also include a quote from a notable personality to support your philosophy. These features will allow you to put together an introductory paragraph that will compel your instructor to proceed reading your paper with zeal. As said earlier, you need to maximize space. So instead of trying to use multiple arguments to support your case, you should focus on just two and elaborate them well. Your second and third paragraphs should be devoted to this cause. Choose two of the most important points that you think validate your thesis, and thoroughly dissect them in their own individual paragraphs. Cite the sources behind it. Analyse their pros and cons. Look into their relation to your topic. By doing so, you will have two solid pieces of evidence supporting your evidence. Every point of view has certain counter-arguments. You need to debunk these dissenting opinions so that your own arguments cannot be broken down. By demonstrating how the opposing viewpoints are incorrect, you will strengthen your position’s validity. Research into how your argument is being criticised and then respectfully explain why they are misguided. This is the second most important paragraph. You have to properly bring your paper to a close; one that is not too abrupt nor too vague. This can be a difficult balance to achieve. 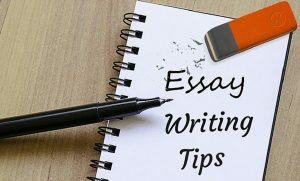 The foremost thing you need to ensure is that there is an allusion to your introductory paragraph so that your essay loops back into its thesis instead of wandering off elsewhere. After this, you should summarise the items you discussed in the three middle paragraphs into one or two sentences. Your final line should clearly indicate to the reader that the essay has come to an end. This does not need to be anything more complicated than a call to action. This is the simplest formula with which you can put together an essay that will meet all of its core objectives. Put it to good use when you do not know how to go about writing on a particularly cryptic essay prompt nor you would find the need of the best essay writing service UK.